Well, the days, and Stanford Women’s Basketball games, fly by, with C and R barely having time to watch them, let alone blog about them, but a little more than half way through the Pac-12 regular season, and we MUST talk about this game that just transpired. (Yay, longwinded run on sentences are back, too, apparently). Over 10,000 women’s basketball fans, including Seattle quarterback Russell Wilson in support of his lil sis Anna, who plays for Stanford, and Seattle Storm coach Jenny Boucek, scouting Pac-12 talent, came to see Stanford play Washington. And Boucek got her an eyeful of some Kelsey Plum. Side story: Jenny Boucek was at Maples a few weeks back scouting Erica McCall and Oregon State’s Sidney Weiss, and C and R spotted her all alone in the front row under OSU’s basket. So, C and R, especially C, never hesitant to make a fool of herself, sauntered over there and starting chatting her up. She was very gracious and obviously is a huge student and fan of women’s basketball. So the joint was rocking, Washington ranked higher than Stanford, and were coming off an insane night of 18 made threes. They quickly took it to Stanford. Kelsey Plum was 5-5 from the three-point line in the first half and had 24 points. And this was with Stanford guarding her heavily. Although Washington executed the pick and roll pretty well. Meanwhile, Stanford, was 1-11 from the three-point line, the lone basket by center Nadia Fingall! Not a good time to have the three go south on you. Stanford found themselves down by 18 halfway through the second quarter. Then Stanford’s Erica McCall discovered she could move against the larger Wash center, Chantel Osahor and Erica scored a few in the post. Stanford was lucky to go in to the locker room at half time “only” down by 12. But you know Stanford’s hall of Fame coach is a master of the half time adjustment. Number one priority was to limit Kelsey Plum. And Bri Roberson, quiet, unassuming Bri Roberson, who already lost her headband early in the first quarter, as C and R track that sort of thing in a private-joke drinking-game sort of way, akin to an Ogwumike losing a contact, went to work. She scored all 14 of her points in the second, including three three-pointers that were always timely. Roberson also scored the first five points of the fourth quarter to pull Stanford even at 55-55 with nine minutes left. Brittany McPhee added 17, and her ability to score off the dribble and penetrate is so desperately needed. Both these players chipped away at the lead until they went ahead by one, to trade the lead four more times with Washington in the closing minutes. Erica would end up with 16 and Karlie Samuelson joined them in double figures with 10, however, surprisingly did not hit a three. 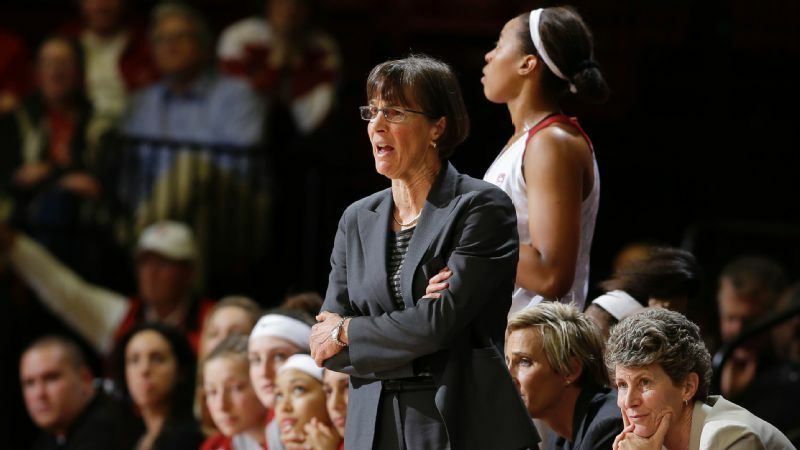 Stanford Coach Tara VanDerveer gets the most out of her players in win #999. Did they stop Kelsey Plum? 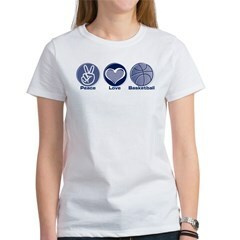 Well, she “only” scored 20 in the second half, and “only” hit two more three-pointers, so you can say yes. Both Plum and Erica were saddled with four fouls that limited their effectiveness in the third quarter. However Stanford had other players that stepped up and Washington did not in their stars’ absences. Stanford outscored the Huskies 39-23 in the second half. How insane was Kelsey’s stats? She was a Curry-like 7-7 from the three-point line until a desperation heave missed with six seconds left in the fourth and the game tied. It was her only miss from behind the arc that night. She finished the game with 44 points before fouling out in the closing seconds. She scored 18 of Washington’s 24 points in the second quarter. The senior (thank goodness) moved up three spots on the all-time scoring list (she now trails Brittney Griner by 145, and Jackie Stiles by 155. C and R suspect she will do that soon). However, she did not have a good supporting cast. The rest of Washington was a combined 6-37. For the game. The seven other players only contributed 24 points. Stanford shot some FTs near the end to win 72-68 to make it look like a respectable win, however Stanford was lucky to win this thing. Missed free throws, missed threes, and just missed shots really hurt Stanford. Well, a win is a win, and with that win, Stanford head coach Tara VanDerveer has a bunch of them, 999 to be exact. One more win and Tara will join legendary coach Pat Summit as the only two women’s basketball coaches with 1,000. Be there Friday night versus USC to see history made!